The Constitution is the law with the highest power that guarantees the bases of the relations between the citizen and the state and delimits the authorities and functions of the branches of the state power. Thus, it is of utmost importance for any nation to ensure scrupulous implementation of the Constitution. For this very purpose, it became clear that a constitutional control is necessary for protection of the Constitution itself and for assurance of its observance. However, breach of the Constitution is possible only by officials vested with authorities but not ordinary citizens. Therefore, the core objective of the constitutional control is the prevent distortion of the Constitution by the state and its officials. It is common for countries that have made the democratic system basis of their governance to establish constitutional courts, engrain judicial control in the government actions and to protect their constitutions which evolve intovividly functional legislations. This tendency has taken a firm ground in Europe and most of the countries of Asia. Also the strength of the constitutional judicial system to function as an effective mechanism of protection of human rights or civil rights warranted by the constitution contributed to this process. Adopting her new Constitution in 1992, Mongolia also defined a legal framework for implementation of constitutional control adopting the model of judicial implementation of constitutional control which was a common tendency amongst the post-communist countries that were at the same starting point and was widespread amongst the countries of Europe with the Roman Law where the legal system of Mongolia also belonged. Article 64 of the Constitution of Mongolia reads: “The constitutional Tsets shall be an body exercising supremesupervision over the implementation of the Constitution, making judgementon the violation of its provisions and resolving constitutional disputes”providing a foundation for the organization and activities of the Constitutional Court of Mongolia. Thus the Constitutional Court of Mongolia named “Tsets” was established marking a big step towards a democratic constitutional state system. It is also recognized that further development of the Constitutional Court of Mongolia requires correct understanding and interpretation of Article 64 of the Constitution of Mongolia.The interpretation (unofficial) of the Constitution of Mongolia says: “a surficial glimpse of this Article gives a perception as if the Constitutional Court of Mongolia is an institution that a) provides supreme control of the Constitution; b) issues conclusions on breach of the Constitution; and c) examines and resolves constitutional disputes. However, a detailed analysis of this provision with the other provisions of the Constitution regarding the Constitutional Court sheds light on its specific independent nature with its permanent operations as a special court focusing on resolutions of disputes on violations of provisions of the Constitution only”. Some researchers have also attempted to give interpretations that would be opposite to the above. In any case, this Article of the Constitution cannot be interpreted without references to the other provisions, but the issue of resolving disputes regarding the fundamental law and rights by the Constitutional Court will depend on how this interpretation will be provided. There are lawyers who refer to Article 64 of the Constitution as a central legal foundation and there are lawyers who even negate it. Basically, tracing of the techniques used in development of the legal act shows that the prevailing manner at the time was to “list” items. An assumption is that detailed listings of decisions subject to the constitutional control (laws, resolutions, decrees, etc.) or even the tasks and duties of officials (the President through the General Prosecutor) were used in the provision of the legal acts to prevent ambiguities that could be encountered in the transition to a society based on justice and integrity from a society which had no experience of resting to the law. There are many positive aspects in such listings as theymight have helpedaccustomisation of concepts, their rectification and common understanding. The following parts of the presentation will also discuss the current needs of perfection of the once accustomed definitions of the concepts. The provisions directly pertaining to the functions of the Constitutional Court are given in Article 70.This article provides with extreme clarity and in a simple way that any decision of the institutions of the legislative, executive and judicial branches must conform to the Constitution according to the Organic theory.This means that no decision of the three branches of the state power shall encroach onto the human rights provided by the Constitution. The reason that here this article is referred to in connection with the functions of the Constitutional Court is becauseits main duty is to provide the highest supervision over the observance of the Constitution under Article 64. 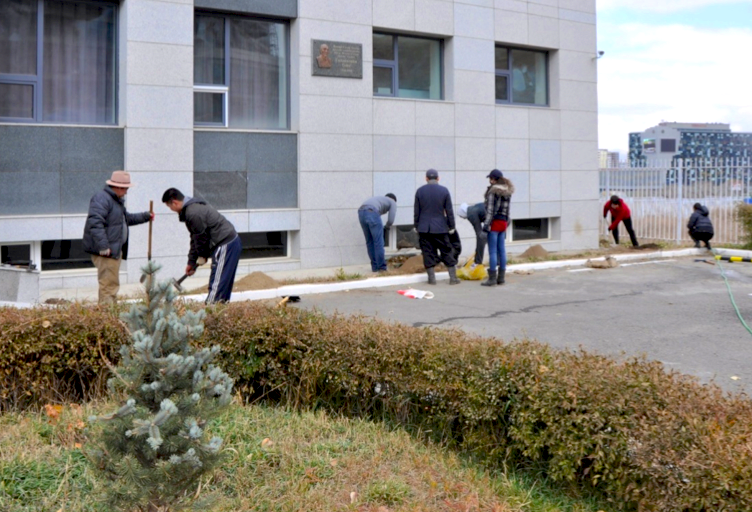 The Consitution of Mongolia provides rights of citizens (Mongolian citizenship holders, foreigners and people without a citizenship) to approach the Constitutional Court with notifications or complaints on issues which can be either related or unrelated to them personally. “The Constitutional Court received 2317 appellations, notifications and requests during the period from July 1992 till 31 December 2016. Most of these were appellations from citizens.”Around 53 percent of the appellations and notifications that were reviewed by sittings of the Constitutional Court were on violation of provisions of the Constitution in connection with human rights. The decisions of the Constitutional Court deemed 41 percent of these as in violation of the Constitution and 59 percent to be not.Thus, the Constitutional Court issued many resolutions defending the rights of the citizens to property, free selection of occupation, freedom of belief, political rights, inviolability and rights of proceedingsreceiving gratitude of the public. These decisions were most importantly outcomes of abstract control and hence their impact is universal rather than personal. A surficial look at the quantitative results above may lead to a perception that a citizen who thinks her or his basic rights have been violated can submit an appellation or notification to the Constitutional Court with no problem. In fact, a citizen can only submit an appellation or complaint only pertaining to a decision of a legislative or executive institution as for the Mongolian legislation and its legal practice. There is no case registered concerning any complaint regarding violation of a citizen’s basic constitutional rights by a judicial institution. In foreign universities, including in the works of Dr. A.Byambajargal and O.Mönhsaihan who defended their PhD degrees in the area of constitutional control have begun critical discussion of this issue. It is notable that Dr. O.Mönhsaihan wrote: “From the very instance of its establishment, the Constitutional Court has been declining any request to examine and resolve any dispute over violation of basic rights by a court decision.”And we agree with his main position that he formulated as: “The court that is tasked to defend the rights of proceeding as set forth by the Constitution violates these rights itself. Therefore, the constitutional complaints are mostly against court decisions rather than legislations”. “There was perception at the time that questioning the final decision of a court by the Constitutional Court would contradict with Article 50 of the Constitution which states ‘The Supreme Court shall the highest judicial organ’”which is also a notable observation. All this leads to the following preliminary conclusions: (а)the Constitutional Court has been mainly implementing abstract control in defence of human rights;(b) the violations examined have only been associated with the decisions of legislative and executive authorities;(с) the Constitutional Court has never reviewed any dispute in connection with a concrete violation of human rights (associated with a court decision). Based on this, a core question whether disputes over basic rights related with court decisions can be reviewed by the Constitutional Court. Researchers who study this aspect write that it is possible in theory. For instance, Dr. Ch.Önörbayar wrote: “Although the Constitution does not directy specify such disputes over basic rights violations as subjects to control by the Constitutional Court, it is fully justified to include them in the jurisdiction of the Constitutional Court using the theory of constitutionalism and legal techniques.” Dr. Ts.Sarantuya wrote: “All resolutions carried out by the Constitutional Court within its jurisdiction can be classified as disputes over decisions of institutions and officials of the legislative or executive branch and decisions of judicial bodies (common and specialized courts) are not included. This demonstrates a contradiction of the jurisdiction of the Constitutional Court of Mongolia with the classical concept. It was mentioned earlier that the decisions of common and specialized courts are also subjects to the constitutional control as for their compliance with the Constitution according to the classical principle. In such a system, a frameworkfor appeal to the Constitutional Court is provided after the decision of the highest court is provided. Dr. O.Mönhsaihan evidenced that the legislators of the Constitution did not reject this concept from the very beginning. The wider meanings of Provision 1 of Article 64 and Provision 1 of Article 70 of the Constitution of Mongolia can be interpreted as a possibility for the Constitutional Court to review all disputes pertaining to the basic rights.In addition, the Human Rights Implementation Programme of Mongolia adopted by the State Great Khural in 2003 clearly describes the duties of the Constitutional Court in protection of the basic human rights. Protection of human rights is the main function of the Constitutional Court. Thus, the constitutional courts of world’s countries have made a tremendous progress in this area. A study of the legal framework for the Constitutional Court of FRG finds that 4a of Provision 1 of Article 93 of the Law on the Constitution of Germany puts constitutional complaints or complaints on violations of basic rights within the jurisdiction of the Constitutional Court. Also Article 94 of the Constitution provides that the main condition of appeal to the Constitutional Court is the exhaustion of all potentials of the other national courts. A citizen (and legal entity) can submit a constitutional complaint against any act issued by a legislative, executive and judicial body. A person encountering damages from the effects of a legal act can file a complaint and most of the disputes reviewed by the Federal Constitutional Court have been examined following basic rights complaints. The Constitution of FRG of 1949 did not provide for review of complaints over basic rights violations, however, it was included in the Law on Constitution of FRG of 1959 opening a way for people whose rights have been breached by court decisions and administrative acts to appeal to the Constitutional Court. Thus, for the first time, an allowance for citizens to complain to the Constitutional Court regarding violation of their basic rights was provided by an ordinary law but not by the Constitution. This is also an example of elaboration of constitutionalism through an ordinary law. The Law on the Constitutional Court of Koreaprovides a possibility to submit a complaint to the Constitutional Court seeking defence of one’s basic rights on issues other than the decision of ordinary courts for persons whose constitutional rights have been damaged due to a public administrative action or inaction. In this, the Law also provides conditionsaccording to which the Constitutional Court may decline complaints that have not gone through all stages set forth in a legally specified procedure if such procedure exists. In addition, in case any party involved in an ordinary court dispute review proceeding believes that the law or normative act used in the court contradicts with the constitution, it can file an appellation with the particular court and in case the court declines to accept the appellation, a complaint can be submitted to the Constitutional Court. This can be regarded as a wise regulation which has overcome the weaknesses of abstract control. The Constitutional Court of Turkey controls whether a law, the procedures of the operations of the Grand National Assembly of Turkey and observance of law conform to the Constitution in form and in content and resolves individual applications regarding constitutional complaints. 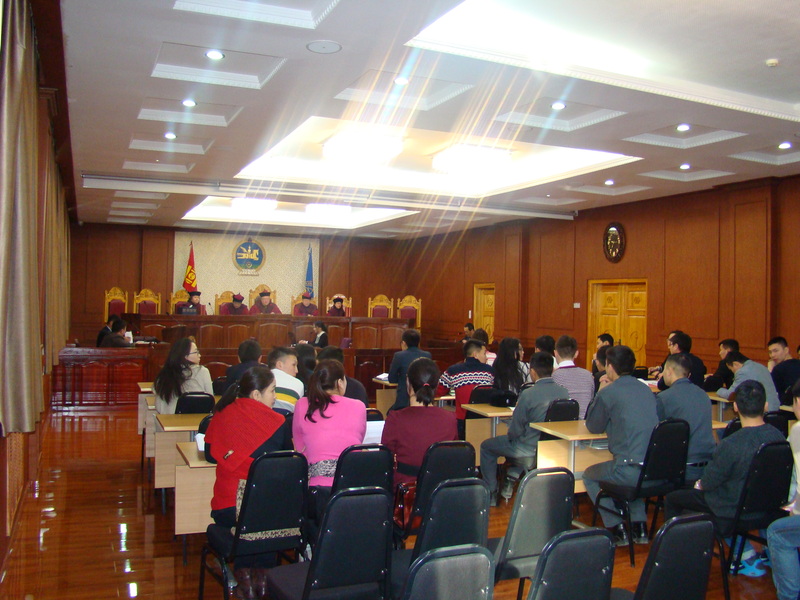 Organise multiple discussions on examination and resolution of issues of all kinds of violation of human rights in Mongolia by the Constitutional Court to reach a common understanding on solutions of problems that can be encountered and all possible positive and negative consequences of such regulations. Regardless of the outcomes of the above, take steps towards improvement of legal regulations on protection of basic human rights (including development of a bill). Researchers have attempted to interpret the content of Provision 1 of Article 64 of the Constitution and write a lot on the scope of this provision. Provision 1 of Article 70 of the Constitution: “Laws, decrees and other decisions of state bodies, and activities of all other organizations and citizens should be in full conformity with the Constitution”. Analysis of the implementation of the Constitution of Mongolia of 1992, UB 2016, p179. The conclusion was made in relation to all provisions of Chapter 2 of the Constitution of Mongolia. As for 31 December 2016. A.Byambajargal. 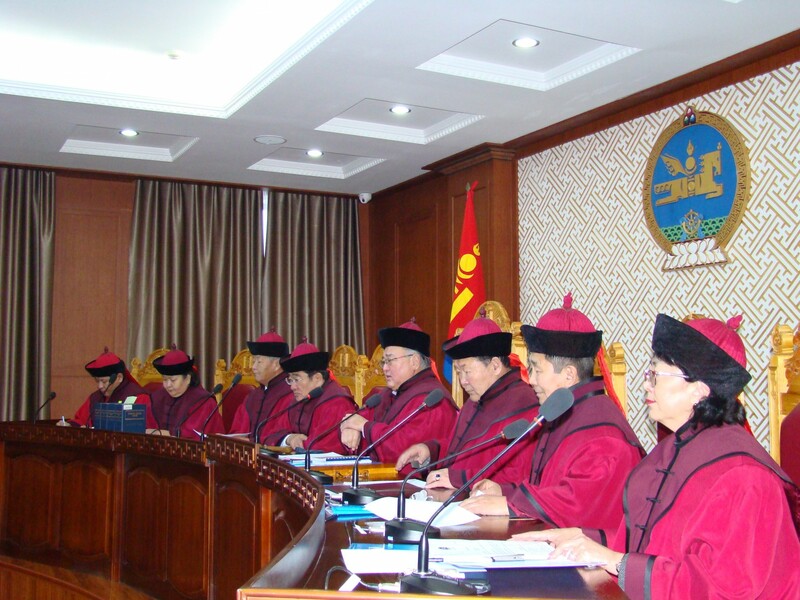 A study of the problems and improvements of Constitutional Review in Mongolia. Kookmin University, Seoul, 2014. O.Mönhsaihan. Possibilities of a precise definition of the authority of the Constitutional Court regarding citizens’ applications and notifications. Article dedicated to the 55th anniversary of the School of Law of NUM. Ts.Sarantuya. Jurisprudence of constitutional proceedings. Ts.Sarantuya. Jurisprudence of proceedings. Theory and practice. 2013, 2014, p42. An amendment of 1969 added a special provision 4a to Provision 1 of Article 93 of the Constitution of FRG of 1949. Part 5 of Provision 1 of Article 111 of the Constitution includes constitutional complaints in the disputes to be resolved within the jurisprudence of the Constitutional Court. Article 148 of the Constitution of Turkey. Functions and authorities 148.3. Functions and powers ARTICLE 148- (As amended on September 12, 2010; Act No. 5982) The Constitutional Court shall examine the constitutionality, in respect of both form and substance, of laws, decrees having the force of law and the Rules of Procedure of the Grand National Assembly of Turkey, and decide on individual applications. Constitutional amendments shall be examined and verified only with regard to their form. However, decrees having the force of law issued during a state of emergency, martial law or in time of war shall not be brought before the Constitutional Court alleging their unconstitutionality as to form or substance. It was introduced by the amendment of 2010. Individual applications are a form of constitutional complaints and are requirements to the special or additional applications of individuals who think their basic rights and freedoms have been violated due to an action or inaction of public officials or at a stage of a process.